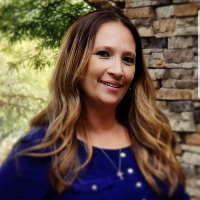 I am a licensed therapist in the state of Arizona with experience in many different types of struggles. I have my Masters degree in counseling and I am currently finishing up my PhD in psychology. I have worked with many individuals ranging in ages from 5 to 85. My specialties include anxiety, self-esteem, and relationship/marriage struggles. However, I do believe I am rather diverse and I have had many different experiences with many different struggles. One thing to immediately know about me is that I am extremely passionate about this work and I love counseling. I also love God and I believe that He brings people into our lives to help us along the way. I am very diligent every day in giving it all to Him! I consistently pray for wisdom and guidance from Him, in all that I do here and I believe that nothing comes from me. In my personal relationship with God, I believe that He is full of Grace! I also believe that this is the way he wants us to treat each other, and with that I would consider myself an extremely non-judgemental person. In fact I think we all have our own struggles that we are not meant to walk through alone. You will find that I am very warm, and encouraging as I counsel, and I do my best to be as much like Christ as I can. We all need a safe place to turn to when things are complicated in our lives. I hope that you will trust in me, and in God, to know that this is a very safe place. If you are ready to make a positive and lasting change in your life, or you would just love someone to talk to, I would love to hear from you! I am very passionate about this work and I believe in the purpose that it serves! I can't wait to begin this journey with you and I look forward to hearing from you! Alison is so refreshing! She puts her faith first and she is so knowledgeable and experienced. She is very good at reading your feelings and meeting you where you are to help you move through your process at your pace. She's very kind and encouraging. I am so thankful that to have this experience with Alison! Thank you and God Bless you! Alison Mell is amazing. She takes the time to listen and backs everything up with godly wisdom. Alison Mell was such a great help! I truly am going to miss her. Unfortunately my finances are in a bind and I am unable to renew membership. To anyone seeking counseling, I highly recommend Alison. She listens, responds and truly cares. I enjoy my counseling with Alison Mell. I like how I can email her and respond to her any time I want to, unlimited. Alison is very gentle in her approach, suggestions and challenges, and shares her own experiences as well. I really feel like she is getting to know me and the challenges in my life and is helping me to get focused on my issues and work on them. It's been pretty painless so far which is really something considering how painful the issues were. Alison is so wonderful at what she does. Taking the time to understand my story and where I come from and responding back in a timely manner. I would highly recommend her! She has been amazingly supportive. I had no intention of ever finding a counselor that was not Christian. I can recommend her 100%. Because I have dealt with a narcissistic personality disorder for years, I did not know what to expect with Alison. She has exceeded my expectations and her knowledge of NPD is high and she does know what trauma that I have lived through. I have never had a therapist that really gets where I am coming from. I have always felt like I really have to explain in great detail or not bring it up at all because there aren’t any words for this. Literally, my first time talking to Alison Mell she understood. She really gets it. I feel like not only does she understand but she cares. I am thankful for her. Alison is a great listener and provides extremely helpful next steps! I can say at this point I have full confidence in Alison. I trust her and feel comfortable with her. She is non-judgmental and supportive. Alison seems to grasp my situation and gives a helpful perspective. Alison is super easy to chat with via email and over the phone. She uses her own experiences to help me through mine which is comforting because I know they're proven methods. It's also nice we small talk here and there which is something I wouldn't do in a regular session because I'd be too worried about the time left on the clock. It just makes for a more relaxion 'session'. She's great. I'd highly recommend her to any of my friends or family! Allison has be extremely helpful to me in the toughest part of my life. She has helped me to discover factors that have led me to this point and has helped me rediscover myself as I continue to build my relationship with God. She is upfront and honest, one of the qualities I appreciate most about her, and she is passionate about what she does and compassionate about my situation. This is my first time receiving counseling of any sort and I couldn't be more pleased with the treatment I am receiving. Would you like to write a review for Alison Mell? We'd appreciate if you can spend a couple of minutes to write a short review for Alison Mell (MSC, NCC, LPC). This review would be shared with Alison Mell. It may also be posted in our website or in Alison Mell's profile but it would be anonymous and your identity would be kept completely confidential.